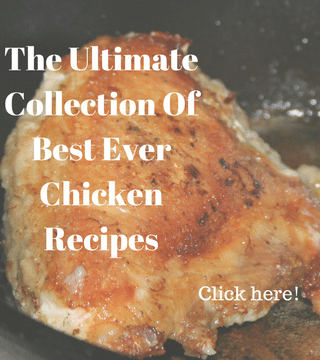 Disclaimer: This is a sponsored conversation written by me on behalf of Homestead Bloggers Network And FoodSafety.gov . The opinions and text are all mine. The holidays are here and that means you are either doing a lot of cooking or going someplace where a lot of cooking is being done, so understanding these important food safety tips is essential. Often holiday meals are leisurely with the food being served buffet style. Most people do not think twice about food safety and focus instead on their guests conversations. Sometimes food is left sitting out for hours at regular room temperatures and this is when problems can start. Then when you do begin to clean-up the leftovers there is the problem of what to do with all of it. Sending food home with your guests is a great idea but keep in mind this means the food is setting out even longer at warmer temperatures since most of us do not carry a cooler filled with ice in the trunk of our car. Food poisoning is a serious public health threat to our country, according to FoodSafety.gov. The CDC estimates that approximately 1 in 6 Americans (or 48 million people) will suffer from food poisoning this year, resulting in roughly 128,000 hospitalizations and 3,000 deaths. 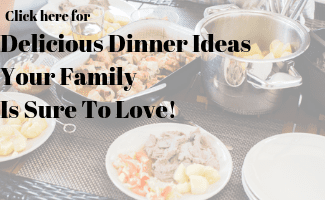 If your family is anything like mine, then you’re used to having the same problem every time you have a big dinner — and that problem is finding space in your refrigerator to put up all that leftover food. While dreaming up ideas for turkey sandwiches and leftover pie, remember that mishandling leftovers creates opportunities for the food to become contaminated with bacteria. When it comes to leftovers, following a few simple tips can go a long way towards preventing potential foodborne illness, so keep these food safety tips in mind. How Many of These Food Safety Tips For Dealing With Leftovers Do You Follow? Leftovers should be refrigerated or frozen in shallow containers. Whole roasts, hams and turkeys should be sliced or cut into smaller pieces or portions before storing them in the refrigerator or freezer. This encourages rapid, even cooling. Throw away all perishable foods, such as meat, poultry, eggs and casseroles, left out at room temperature for more than two hours. 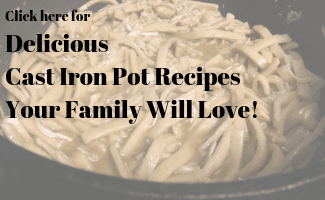 This also includes leftovers you bring home from a Thanksgiving meal at a family or friend’s house. Some exceptions to this rule are foods such as cookies, crackers, bread and whole fruits. Turkeys are smoked for flavor, not so you can keep them around until New Years. Store a commercially smoked turkey in the refrigerator, unopened, no longer than a week. Once the package is opened, use or freeze the bird within 3 to 4 days. Reheat solid leftovers to at least 165 °F, as measured by a food thermometer. 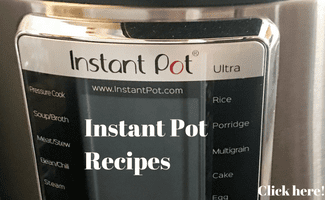 Reheat liquid leftovers to a rolling boil. Do not taste leftovers to check and see if they’ve spoiled – bacteria that cause illness do not affect the taste, smell, or appearance of food. 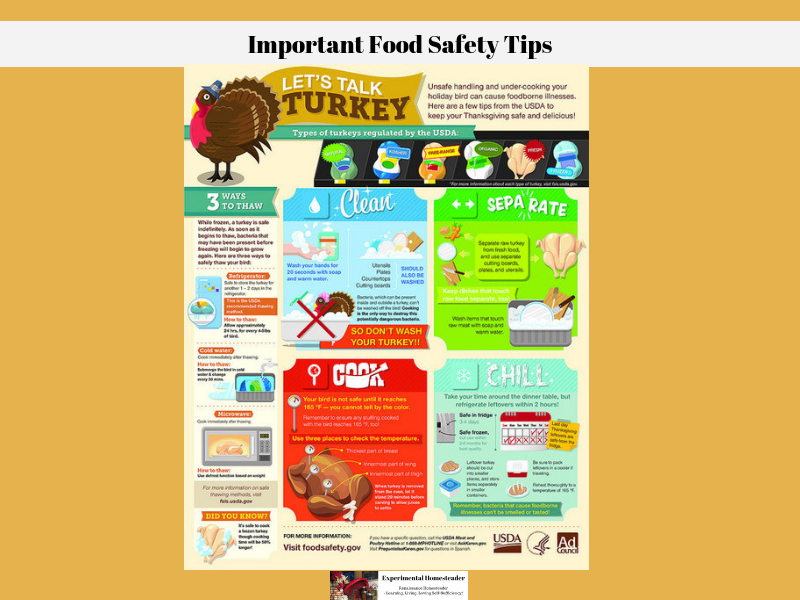 While we are on the subject of food safety, how much do you know about turkey myths and tips? I know I learned a few things I didn’t know, so please read on. 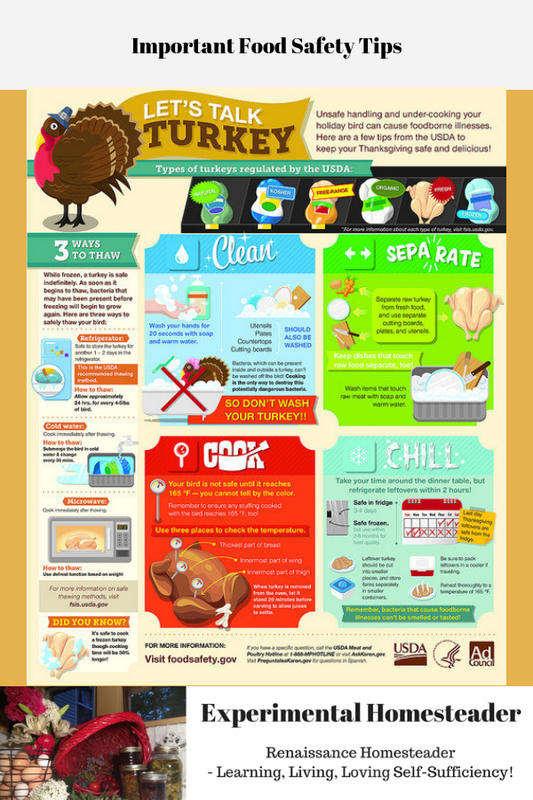 Myth: Washing the turkey before cooking makes it cleaner and safer. FALSE It’s impossible to wash bacteria off any poultry, not just turkey, because pathogens live inside the meat itself. Instead, juices that splash during washing can transfer bacteria onto kitchen surfaces, other foods and utensils. The only way to destroy bacteria on your turkey is to cook it to a minimum internal temp 165 °F; at this temperature bacteria are killed. Myth: Stuffing turkey the night before is a safe way to save time. FALSE. Harmful bacteria can multiply in the stuffing and cause food poisoning when a stuffed bird is refrigerated. The ingredients for the stuffing, wet and dry, can be prepared and refrigerated separately the night before. Stuff the turkey just before you put it into the oven. Myth: If one turkey takes 3 hours to cook, two will take 6 hours. FALSE In fact, cooking two of approximately the same weight takes no longer than if there were only one bird in the oven. However, make sure to allow a few inches of space between each one to allow the hot air to circulate. 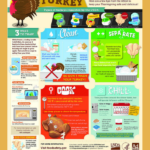 A whole turkey is safe when cooked to a minimum internal temperature of 165 °F as measured with a food thermometer. Myth: Thawing on the counter is the best way to defrost your bird. FALSE Thawing on the counter is unsafe for turkey or any meat, poultry, and other perishable food. There are three safe ways to safely thaw a turkey— in the refrigerator, in cold water, or in the microwave oven. It will take 24 hours for every 4 to 5 pounds of weight to thaw in the refrigerator. To thaw in cold water, submerge the bird in its original wrapper in cold tap water, changing the water every 30 minutes. Refer to your owner’s manual for microwave defrosting. The USDA recommended method to thaw a turkey is in the refrigerator. Myth: Smoked turkey lasts longer. FALSE Turkeys are smoked for flavor, not to extend the time you can keep them refrigerated. Store a commercially smoked turkey in the refrigerator, unopened, no longer than a week. Once the package is opened, use or freeze the bird within 3 to 4 days. For more safe food handling info and leftover tips, visit FoodSafety.gov. You can also access “Ask Karen,” an online database with 1,500 answers in both English and Spanish to specific questions related to preventing foodborne illnesses. Or, you can also call the USDA Food Safety Hotline at 1-800-535-4555 available from 10am to 4pm Eastern Time, Monday through Friday.